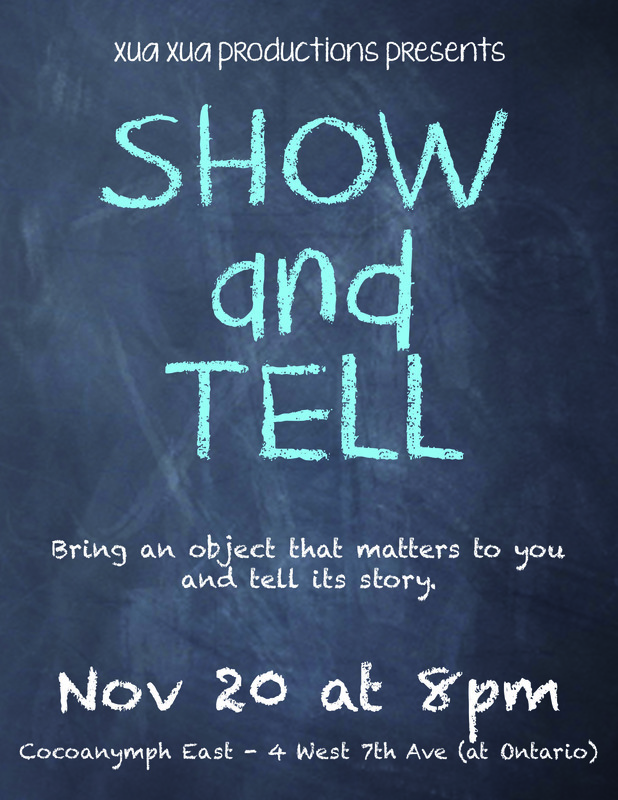 My theatre company, Xua Xua Productions, is about to launch an event that I am incredibly excited about – Show & Tell. It’s just what you think it is – bring an object that matters to you, and tell its story! The event will become a bi-monthly community storytelling adventure, starting Tuesday, November 20th at Cocoanymph East (4 W 7th Ave @ Ontario). Come share a piece of your story!